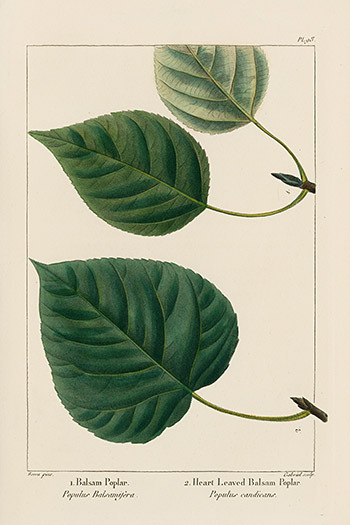 The North American Sylva by Francois Andre Michaux, with the supplement by Nuttall is the most comprehensive work on North American trees ever to be published. 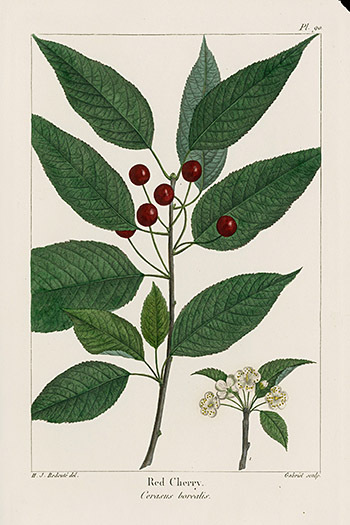 It was the work of the Frenchman, Michaux, who was commissioned by the French government in the early 1800's to explore the forests of the United States, Canada, and Nova Scotia. 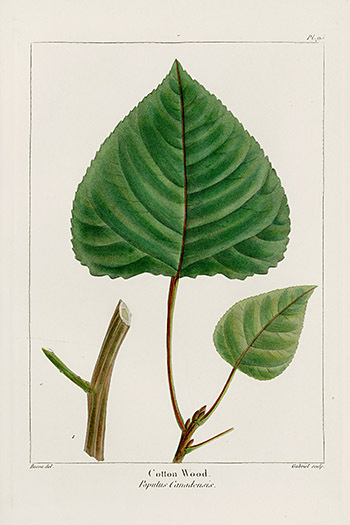 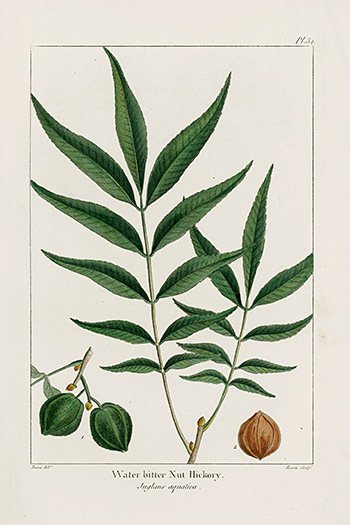 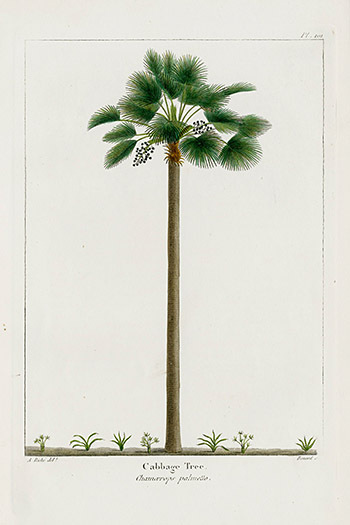 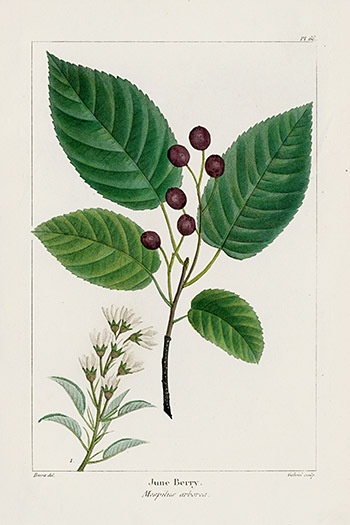 By 1813 Michaux had completed the Sylva, with illustrations by Pierre Joseph Redoute and Pancrace Bessa, two masters of botanical art. 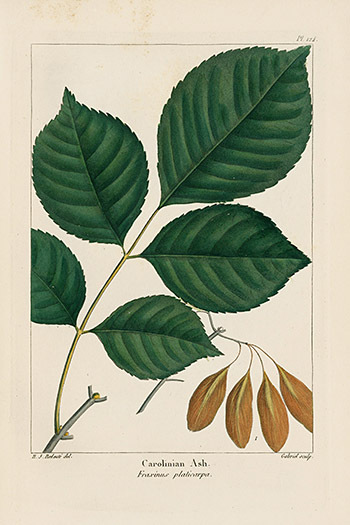 This work is of unrivaled beauty and importance, giving the first significant & most comprehensive description of North American forest trees. 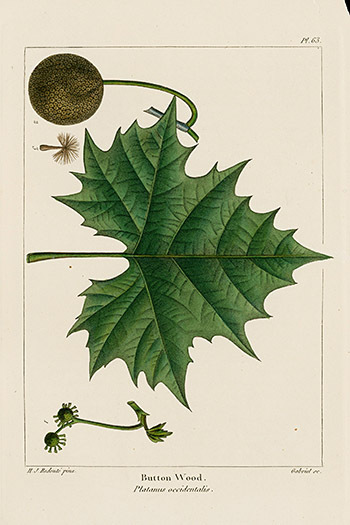 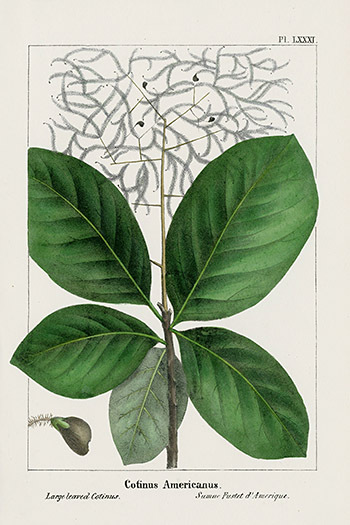 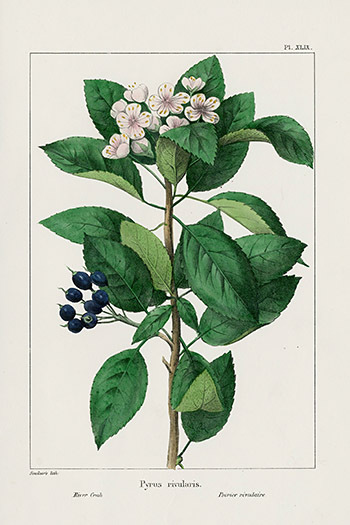 The North American Sylva is a landmark in the literature of America. 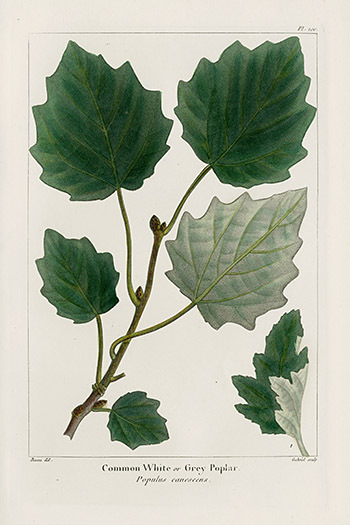 In addition to being the first significant survey of American trees and soil, it serves as a fascinating travelogue, providing detailed portraits of the developing American landscape. 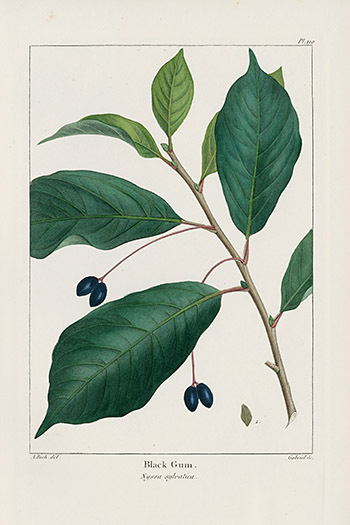 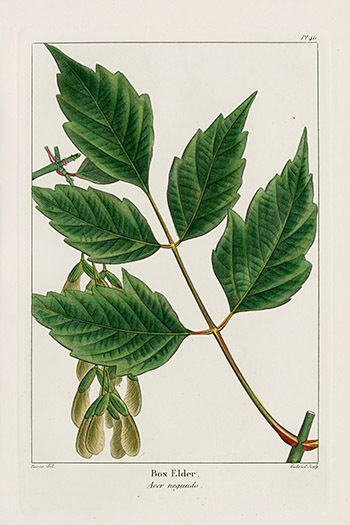 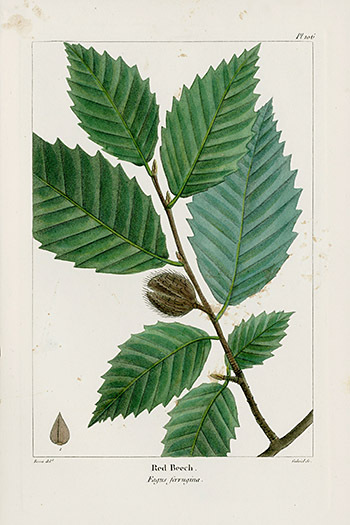 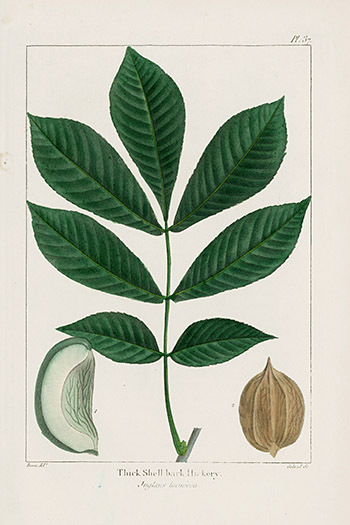 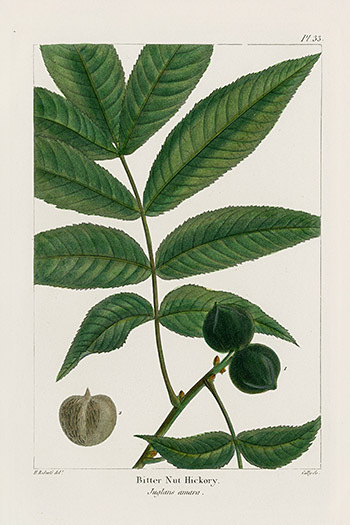 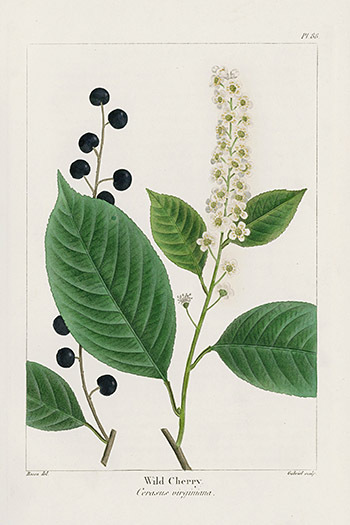 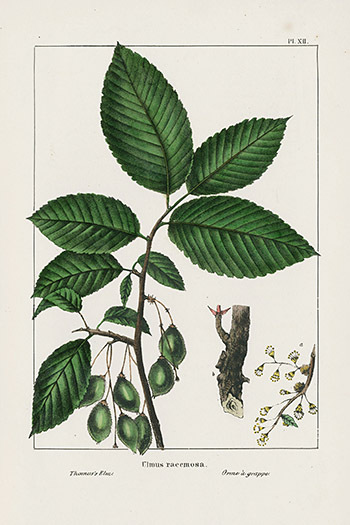 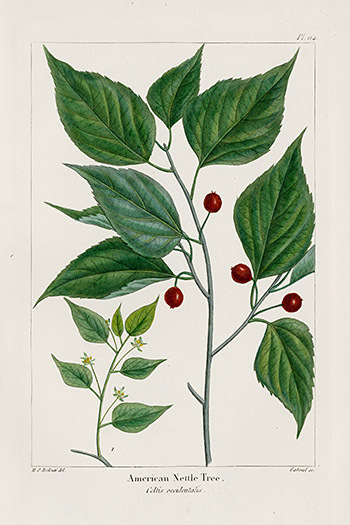 With Nuttall's supplement, it is no exaggeration to remark that it is the most complete work of its kind, and is a production of unrivalled interest and beauty, giving descriptions and illustrations of all the forest trees of North America, from the arctic limits of arborescent vegetation to the confines of the tropical circle" (Sabin 48694-5). 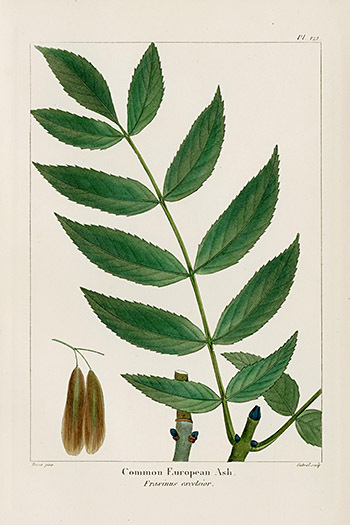 We are delighted to offer a selection of prints from the very first English translation of The North American Sylva, published in Paris in 1819. 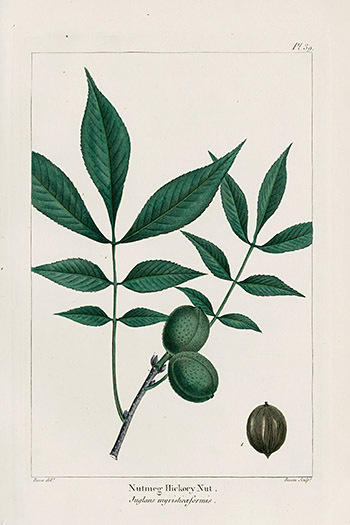 This rare first edition is highly prized for its superior hand coloured stipple engravings from drawings by Redoute & Bessa. 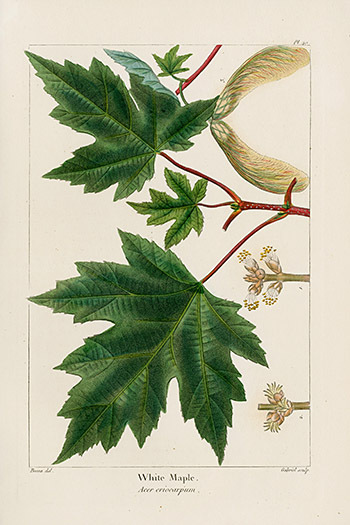 The prints are in good condition, with a little minor foxing as show in the images. 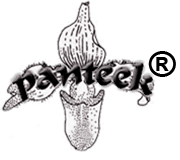 The strong chain lined paper is a creamy white and measures approximately 6 1/4 inches by 9 1/8 inches. 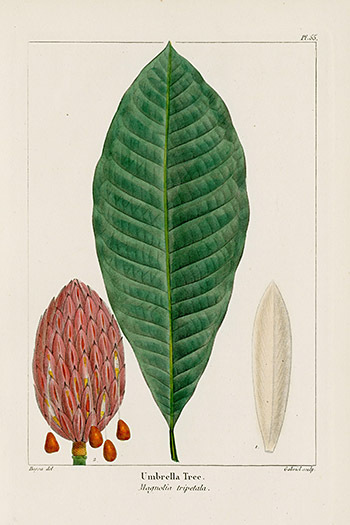 A copy of the title page accompanies each print and some descriptive text is included as available. 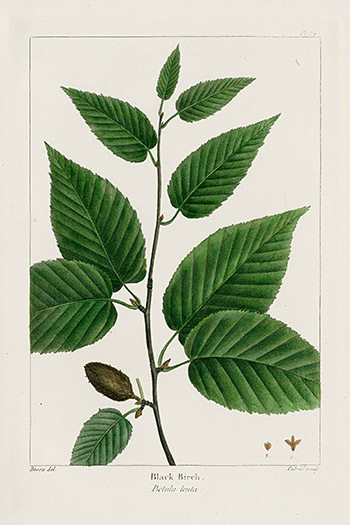 For all who love the forests and trees of North America, these vibrant & highly decorative prints are truly a special prize!